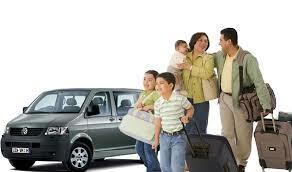 Private Transfer: Cost for 1 to 3 persons traveling together $50.USD Total. Each extra persons $10.USD each. Private Transfer: cost for 1 to 3 persons Travelling together $100.USD Total. Each extra persons $20.USD each. No waiting at the Airport, get there before the shuttle buses, dont be in a 45 seater bus at the airport waiting to be full, this is a fully private taxi waiting for you and yours! we have cars, mini busses, lager depending on the size group that book us. You can stop along the way to Farmacy, Supermarker , Legal Smoke shop etc, only if you ask us to! We await your bookings, after you book we will send you a personal email confirmation with how to find us at the airport.